But oh so good – especially if you have it, not for breakfast, but lunch or dinner. 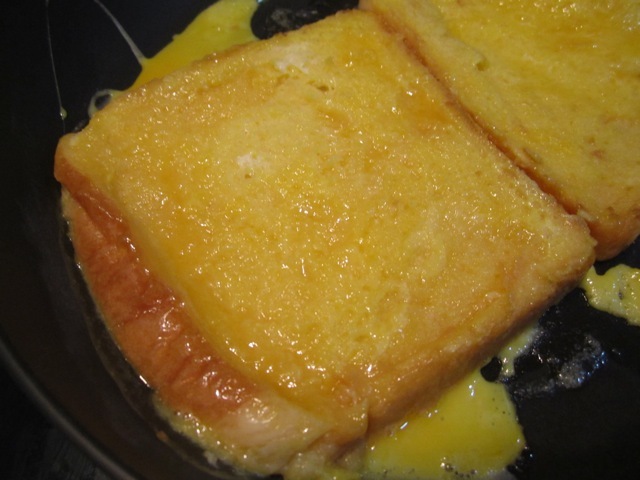 For me, French Toast is easy to make comfort food. As a kid I knew it as Egg Bread and that stuck. It’s what my mum called it. This entry was posted in Midlife Musings and tagged diary, favourite, Food, French Toast, happiness, journal, Life, Living, personal, photography, photos. Bookmark the permalink. 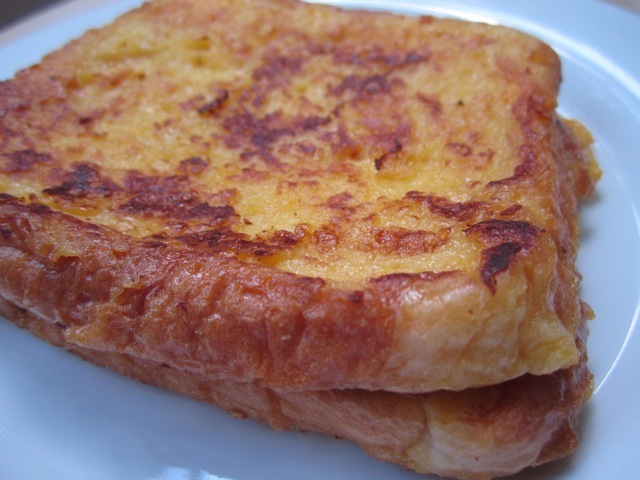 French toast was the first thing I learnt to cook as a kid! I love it. I love the golden brown yumminess 🙂 it feels so local to me. mmmm…haven’t had that in ages. Also good with some cinnamon and sugar sprinkled on top and syrup. I don’t know whether this is just done in Singapore…but we mix sugar into the egg before we soak the bread it 🙂 Or maybe just in my home. Smother it with pure maple syrup!